Dimitris Mavridis is an Assistant Professor in statistics for the social sciences at the Department of Primary School Education at the University of Ioannina. He has published more than 40 papers relevant to network meta-analysis (NMA). His works include both methodological papers and applications of NMA in various fields. He is an editor for the journal `Evidence Based Mental Health´ and `Research Synthesis Methods´ and a statistical editor for two Cochrane groups, the Developmental, Psychosocial and Learning Problem Group and the Sexually Transmitted Infections Group. 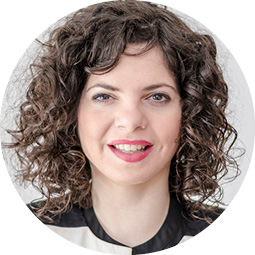 Areti-Angeliki Veroniki is a Mathematician, holds a Master´s degree in Statistics and Operations Research, and a PhD in Epidemiology. 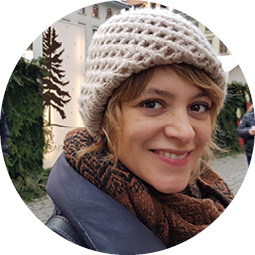 She is a Research Fellow at the Department of Primary School Education at the University of Ioannina in Greece, and an Affiliate Scientist at the Knowledge Translation Programme of St. Michael’s Hospital in Toronto, Canada. Her research focuses on the statistical modelling for knowledge synthesis and the methodology of systematic reviews, with more than 45 publications relevant to (network) meta-analysis. She is a convenor of the Cochrane Statistical Methods Group (SMG), and works closely with the Comparing Multiple Interventions Methods Group (CMIMG) and Individual Patients Data Meta-Analysis Methods Group (IPDMAG) of the Cochrane Collaboration. She is an associate editor for the Systematic Reviews journal, and a statistical editor for two Cochrane groups: the Cochrane Depression, Anxiety and Neurosis Group (CDANG), and the Cochrane Developmental, Psychosocial and Learning Problems Group (CDPLPG). She is a collaborator of the Canadian Institutes of Health Research Drug Safety and Effectiveness Network Meta-Analysis team ‘Methods and Applications in Indirect Comparisons’ (MAGIC). Georgia Salanti is an Assistant Professor in Biostatistics. Her current research interests and expertise are statistical modelling for network meta-analysis and the investigation of the impact of bias in evidence from clinical trials. Georgia Salanti has published more than 130 papers related to network meta-analysis (NMA). She is an associate editor for journals `Research Synthesis Methods´ and `Evidence Based Mental Health´ and convenor for the Cochrane Comparing Multiple Interventions methods Group. 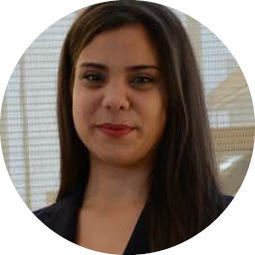 Maria Petropoulou is a PhD student at the Department of Primary Education at the University of Ioannina. 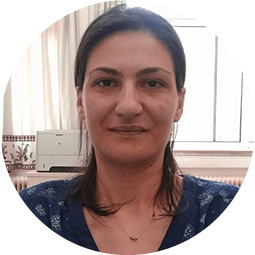 She has worked as a Research Associate in Biostatistics and Epidemiology at the Department of Hygiene and Epidemiology in Medical School at the University of Ioannina. She has performed statistical analyses of network meta-analyses, interpreted their results and prepared high-quality papers for publication in scientific journals. She has now started her PhD in the field of Statistics, researching methodological aspects of outliers and publication bias in meta-analytical models. Stella Zevgiti works at the Department of Primary Education at the University of Ioannina since 2014. She holds a Master´s degree in the Organic Chemistry and Biochemistry (Clinical Biochemistry and Immunochemistry-Microbial Biotechnology). Her PhD was on Bioconjugate Peptide Chemistry, contributing to the diagnosis and discrimination between avian and human influenza virus infections. Stella Zevgiti´s current research interests and expertise are in meta-analysis and network meta-analysis.